The Best of Teacher Entrepreneurs II: LANGUAGE ARTS LESSON - "Making Inferences....Resources to Teach This Difficult Skill"
LANGUAGE ARTS LESSON - "Making Inferences....Resources to Teach This Difficult Skill"
I used to really struggle with teaching INFERRING to young learners (1st - 3rd). I could never find the resources I needed to model this difficult, but super important skill. It's tough to find good reading skills in lower level text. So I decided to write my own mini passages and build in some inferences that my students could master. It worked! The passages are very short and focus on MAKING INFERENCES. You can use the passages for mini lessons, seat work, small group work or homework. 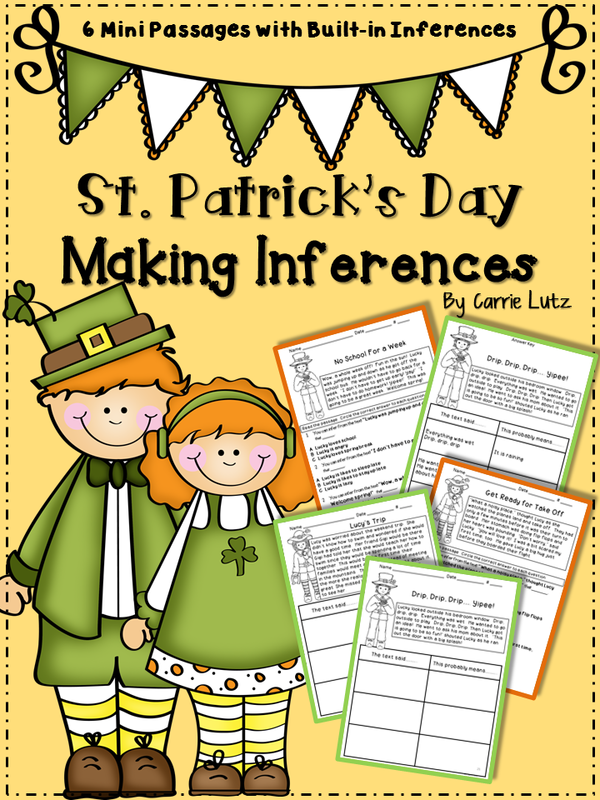 Below is a page from St. Patrick's Day Making Inferences. These little passages come with this Graphic Organizer and 2 others shown below. 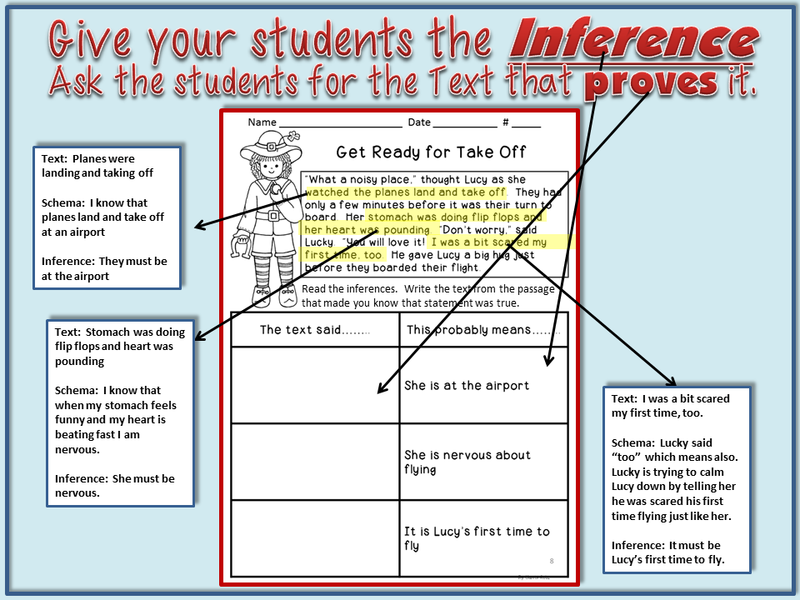 This is a great way to scaffold the instruction and have your students inferring on their own in no time. I like to start with giving the students the text that implied something not written in the text. After they become more comfortable with that, I introduce the inference and they must give me the text that implied it. Finally, after they have mastered that, I give them a blank sheet so see if they can find the text and the inference. I am so pleased at what they are able to do in such a short time. I hope this post helps you with your Making Inferences lessons. Check out these other MAKING INFERENCES products.